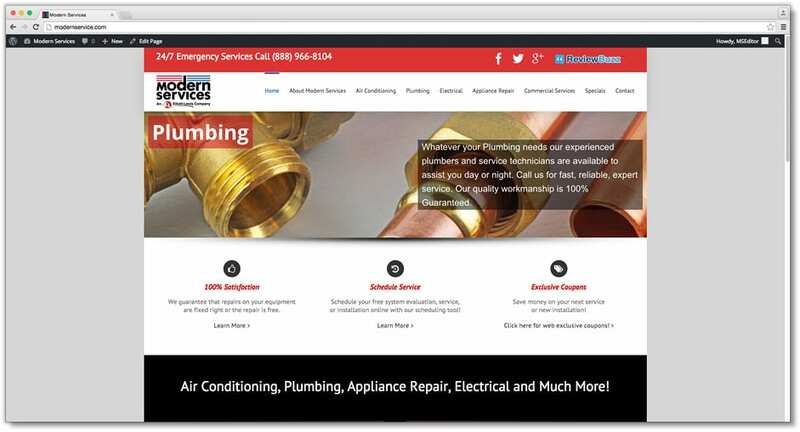 Fort Myers-based Modern Services is an air-conditioning, heating, electrical, and plumbing contractor, as well as an appliance repair company serving nine counties in and around Southwest Florida. The Agency has worked with Modern on many projects over the past 18 years, and once again they turned to us as they were ready to rebrand the business. There was a changing of the guard at the top levels of the company, and it was time to reintroduce the firm to Southwest Florida. Modern had built a solid reputation and a lot of equity since its launch in the 1960s, but in the new economy, they were losing ground. Additionally, there were a lot of people new to the region who did not know about Modern because the company had virtually stopped marketing over a number of years. 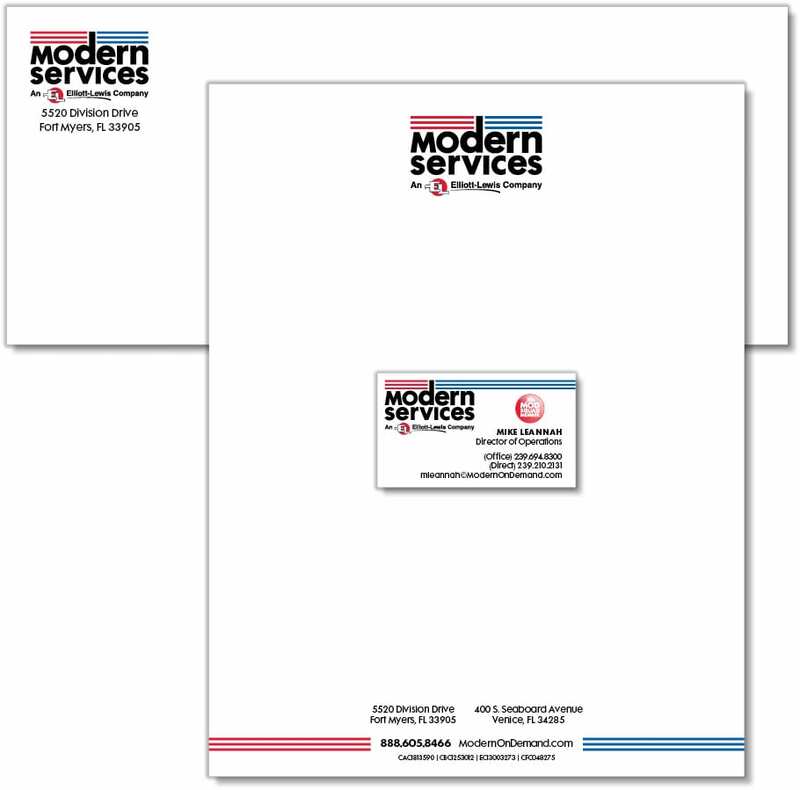 The Agency’s Brand Architects® drew up plans and designed a whole new look and feel for Modern, including a name evolution to Modern Services. It was a good time for the rebranding as its “sister” company, R.L. Anderson in Venice, Fla., merged with Modern. 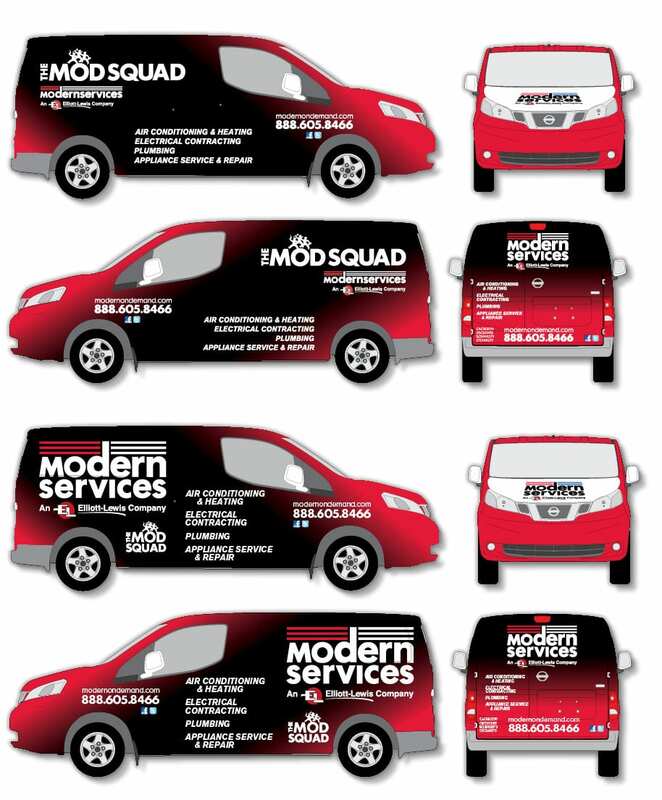 One of the most poignant changes in the new blueprint for success was creating and introducing The MOD Squad – Modern On Demand – a fast-response team available 24/7 for any issues at home or business. The bold new look is the structural foundation applied across all marketing materials, including logo, collateral, website, fleet and apparel. Early indications show that some of the “doom and gloom” of prior days is waning as the revived marketing strategy gains traction. 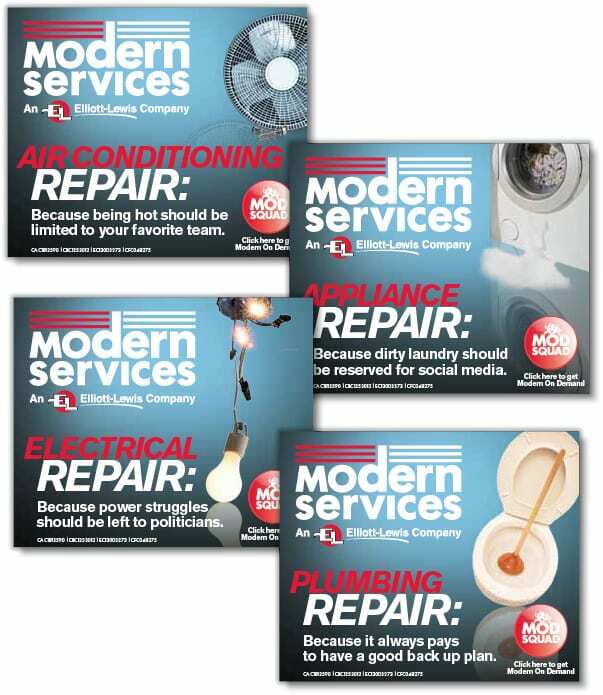 The rebranding is taking hold as Modern’s sales professionals continue to work on more new leads, prospects and sales.